THE NAME OF THE ORGANIZATION SHALL BE THE SOUTHERN DEMOGRAPHIC ASSOCIATION, INC. SECTION 1. The Southern Demographic Association, Inc. (SDA) is a scientific and educational corporation of the Commonwealth of Virginia. It is composed of persons with professional interest in demography and population studies. 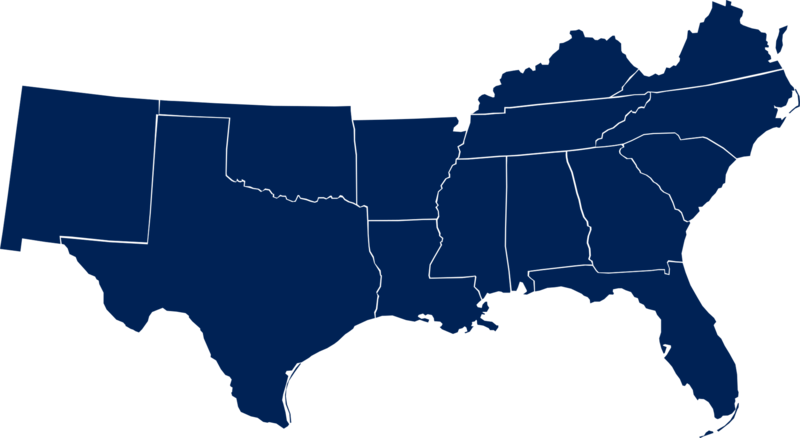 As set forth in the charter of incorporation, its purposes are to supplement and complement the demographic programs of educational institutions, research organizations, and state and local government agencies in the South (as defined in the by-laws). The SDA will (a) serve as an organized channel of information concerning programs, facilities, and demographic research in the region; (b) encourage broad multi-disciplinary studies of population trends and changes in the region and their social, economic, and environmental determinants and consequences; (c) generally advance demographic research and training in the region; and (d) serve other purposes that further public understanding of the significance of Southern population patterns. SECTION 1. Members of SDA shall consist of individuals and organizations with a professional commitment to its purposes who pay annual dues in the amounts established from time to time by the Board of Directors (the Board). There shall be different classes of membership as specified in the by-laws. SECTION 1. There shall be a Board of Directors consisting of the president, the president-elect, the secretary-treasurer, the immediate past president, and at least three directors, one of whom shall serve as vice-president and one of whom shall be a legal resident of Virginia. SECTION 3. The Board shall have responsibility for the management and control of the activities and publications of SDA, for the administration and custody of property and funds, and for relations with other professional organizations. Actions of the Board shall be communicated to the members. SECTION 1. The officers of SDA shall be a president, a president-elect, a vice-president, and a secretary-treasurer, elected as specified herein and in the by-laws. The president is the chair-person of the board and the chief officer of SDA. The vice-president is vice-chairperson of the Board and shall discharge the presidential duties in the absence or disability of the president. SECTION 1. There shall be an annual election by mail ballot to elect a president-elect and at least one director, and to fill any elective offices that have been vacated in the previous year. Special elections by mail ballot shall be held on the recommendation of the Board. SECTION 2. The terms of office of the president and the president-elect shall be one year, after which they shall succeed to the offices of immediate past president and president, respectively. SECTION 3. The vice-president shall be elected by the Board from among the directors not holding other office, and shall serve in that office no longer than one year. SECTION 1. Standing or temporary committees required to conduct the activities of SDA shall be appointed by the president, with the approval of the Board. SECTION 1. There shall be one regular meeting annually of the members, which shall be held at a time and place designated by the Board. Special meetings may be held on the call of the Board. SECTION 2. The secretary-treasurer shall give adequate written notice of the time and place of meetings to each member in good standing. a. Receive a report from the president on the activities of the Board since the last such meeting. b. Receive a report from the secretary-treasurer on the activities of the office for the year, including financial and membership statements. c. Receive reports from committees as required. d. Make suggestions for activities to be considered by the Board. SECTION 1. Amendments to the Constitution may be proposed by the Board, or by a petition to the Board signed by at least twenty-five (25) members. A proposed amendment shall be communicated to the members and discussed at the next meeting of the members. Within sixty (60) days after the meeting, the Board shall formulate the final wording of the proposed amendment and direct the secretary-treasurer to submit it to the members in good standing for ratification by mail ballot. An amendment shall become effective following ratification by two-thirds of the members casting ballots. SECTION 1. Definitions and procedures that require flexibility shall be governed by the by-laws, provided they are not in conflict with the Constitution. SECTION 1. This Constitution became effective in its original version on November 1, 1980. It was revised to reflect the change of name of the organization from Southern Regional Demographic Group to Southern Demographic Association, which was approved October 12, 1987. The present version will become effective on the first day of the month following ratification, 1 July 2001.